In the spring of 1778 an invasion of British East Florida was organized by Georgia Governor John Houstoun and Continental Army General Robert Howe. However, the two men could not agree on overall command of the expedition, and Houstoun refused to share his plans with Howe, leading to organizational and logistical difficulties. Howe, in command of 1,100 regulars was waiting for Georgia and South Carolina militia companies to arrive when he learned on June 18 that Loyalist Thomas Brown and 300 men were at Fort Tonyn on the Florida side of the St. Mary's River. On June 28 his men crossed the St. Mary's in a move that was observed by Brown's scouts. Brown decided to retreat from the fort, which he burned after removing everything he could take with him. Brown then sent a company of men to circle around behind the Continentals while the rest of his men hid along the road heading south from the fort. British Major Mark Prevost had established a defensive position at Alligator Bridge, about 17 miles (27 km) south of the fort. Howe sent General James Screven and about 100 cavalry south on this road. The men Brown sent to flank the Continentals were betrayed by deserters and ambushed, with most of them captured or killed. Howe then sent General James Screven and about 100 militia cavalry to find Brown, who retreated before Screven's advance. The leading edge of Brown's men entered Prevost's camp relatively casually, but his rear was chased in by Screven. Prevost's regulars quickly took up positions and began firing on Screven's men, while some of Brown's men went around to come at their flank. In pitched battle, men on both sides went down, Screven was wounded, and some of the Patriot militia narrowly escaped being trapped before Screven ordered the retreat. The Battle of Alligator Bridge took place on June 30, 1778, and was the major engagement in Colonel Elijah Clarke's third and final unsuccessful campaign to conquer East Florida. 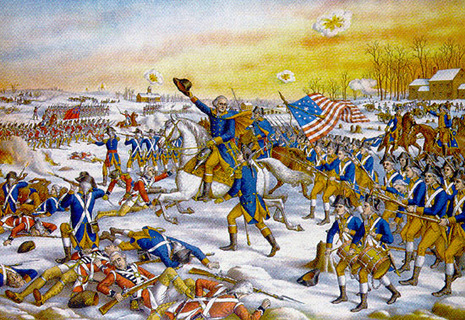 In a disastrous battle, Clarke's 300 Georgia militiamen went up against a far larger force composed of British regulars, Tories, and Indians. His defeat left the area firmly under British control. 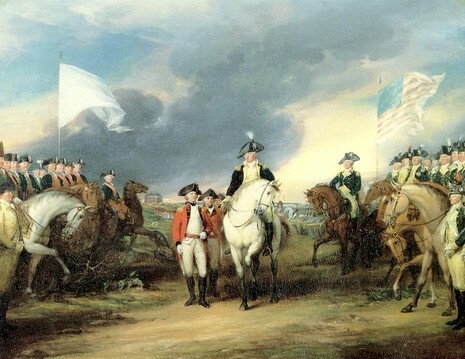 As with previous failures in the region, Southern politicians refused to grant Continental Army officers full command of their militias. So, while General Robert Howe waited with about 400 regular troops at Fort Tonyn to the north for Georgia Governor John Houstoun and South Carolina General Andrew Williamson to arrive with their militias, Clarke pursued an enemy detachment that had just been routed from an outpost to the west of the fort. He and his men were stopped at Alligator Bridge, where Major Marc Prevost had established hasty field fortifications. In the fortifications were 500 British regulars, along with 200 more outside of them; also outside were around 100 Rangers. Clarke took a detachment of mounted men and attacked what he saw as a weak point in the British line. He expected to break the line and pour the rest of his men into the breach. But the horses had trouble getting through the tangle of brush and logs that had been set up specifically as an obstacle course; when they cleared this, they reached a ditch that was designed for the same purpose. The ditch was too wide for the horses to clear with one jump, and this was the moment the British chose to begin shooting and shouting. Clarke was wounded and nearly captured, after which he ordered a recall. Some say he was spurred on by a counterattack of British troops posted outside of their earthworks. Whatever the reason, Clarke withdrew, having lost nine men killed in action. He lost more to hunger and sickness, leading to the collapse of the 1778 invasion. The site of the bridge has long been supposed to have been in central Callahan, where a marker has been placed, but some historians believe that the actual site of the bridge was somewhat farther east.